Bundesliga | Lothar Matthäus: "James Rodriguez personifies the modern number 10"
Lothar Matthäus: "James Rodriguez personifies the modern number 10"
Bundesliga legend and Bayern Munich hero Lothar Matthäus believes it is only a matter of time before fans see the very best of James Rodriguez. "James hasn’t reached his potential at Bayern yet," commented Matthäus, who made 464 Bundesliga appearances for Bayern and Borussia Mönchengladbach over the course of a decorated career for club and country. "He is already on the right path, and if he continues like this, he will show us what he can really do. "Still, James is not yet the Bayern leader he can become. That makes sense, though. He still has to get used to the Bundesliga, Bayern, Germany, his way of playing football and the new culture." Watch: James scores his first Bayern goal, wins a penalty and superbly assists Arturo Vidal - all in one game! James Rodriguez has the numbers to support his case for a fantastic start to life with Bayern Munich. 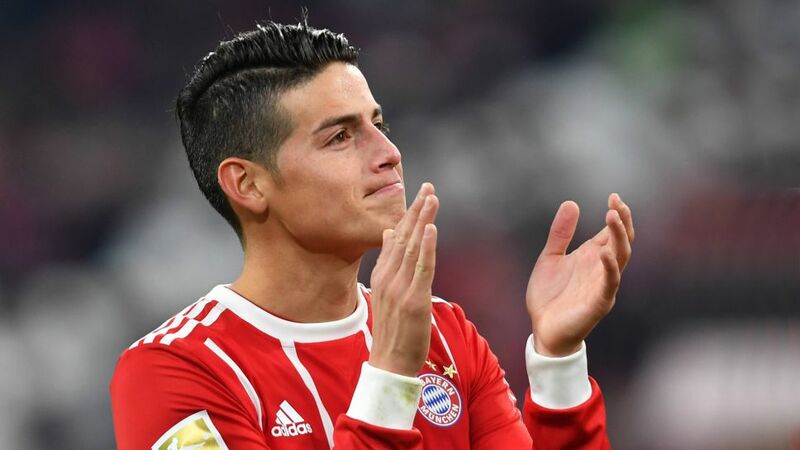 James made a slow start to life in Munich after joining Bayern on a two-year loan deal from Real Madrid in the summer, although he was not helped by missing the opening two league games through injury. Since then, he has shown exactly what he is capable of and, as Matthäus says, there is even more to come. "With James you have to be patient and handle expectations," the 1991 World Player of the Year said. "He has a lot of quality, but he needs time. Let’s not forget he did not have a rhythm at Real Madrid. We have to wait for it, give it time. "The good thing is that he has already shown some of the things that we have been waiting to see. Against Schalke and RB Leipzig he played a couple of very good games and soon that will be the standard. I think we will soon see that level of performance every week." Having played as a No.10 himself, Matthäus knows what is required of the creative link between midfield and attack for a team like Bayern. James occupies the same role now under Jupp Heynckes and, in Matthäus' mind, the Colombian is the perfect example of the modern attacking midfielder. "James personifies the 'modern 10' - that player who attacks and defends, who is a leader and controls the game while being a worker, who makes goals and assists, bosses the midfield and is capable of taking the game by the scruff of the neck at any time." His goals against Schalke and Leipzig - as well as superb assists against Borussia Dortmund and particularly for Arturo Vidal against the Royal Blues – mean the Bundesliga knows what to expect. And they should be ready for much more once James has fully acclimatised to life in the German top flight. Watch: James inspired Bayern to Klassiker victory over Dortmund! "When James finds his rhythm, he will be very important for Bayern and the Colombian team," says Matthäus. "In the world of football, the number 10 position has changed substantially. James has gathered all the attributes that characterise the new No.10."